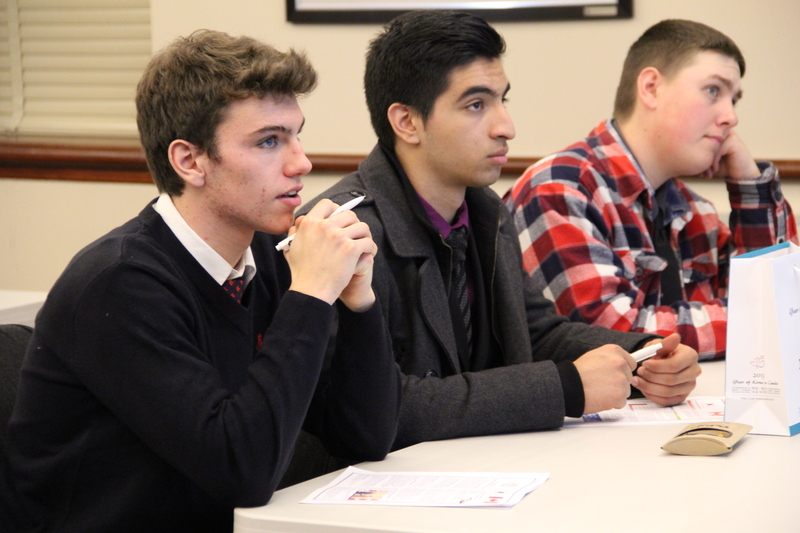 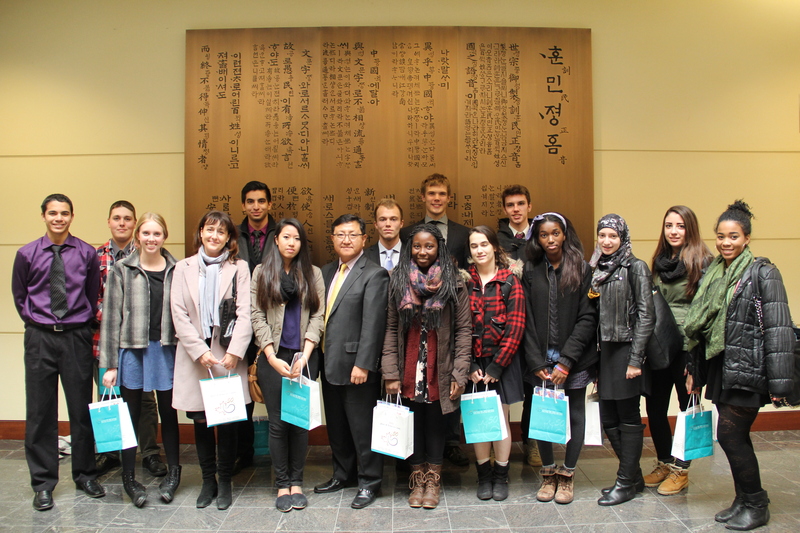 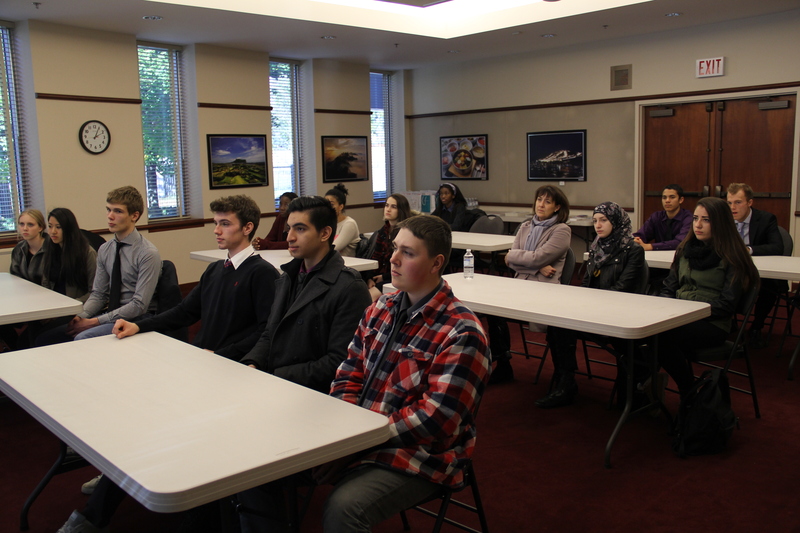 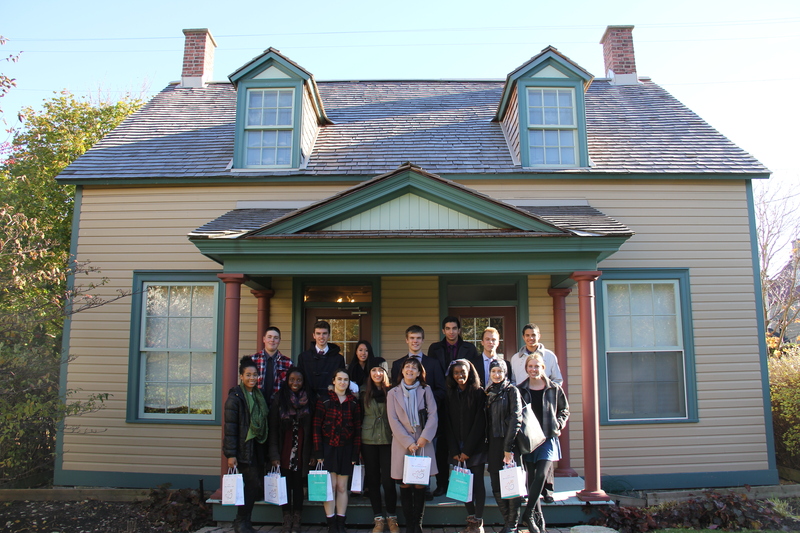 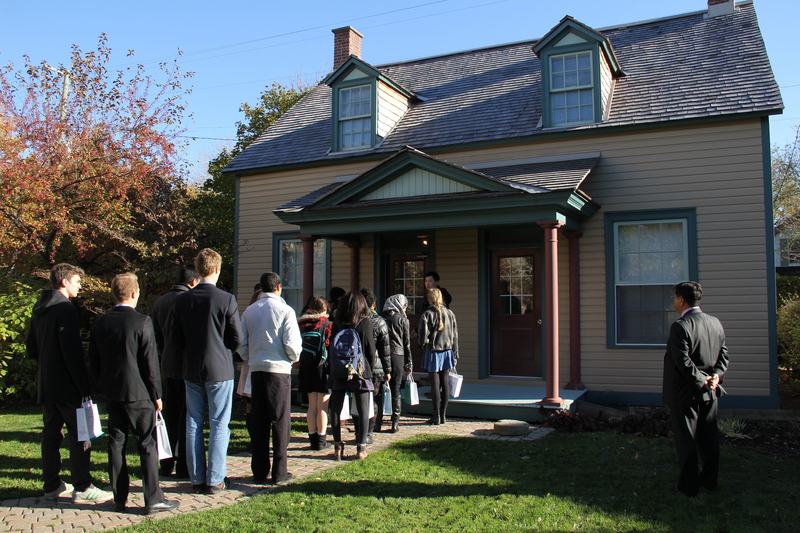 On Tuesday October 29, Embassy of the Republic of Korea presented its 8th ‘School Visit Program’ by welcoming Grade 12 French students of Glebe Collegiate Institute to the Embassy and introducing Korea-Canada relations as well as the role of the Embassy of the Republic of Korea. 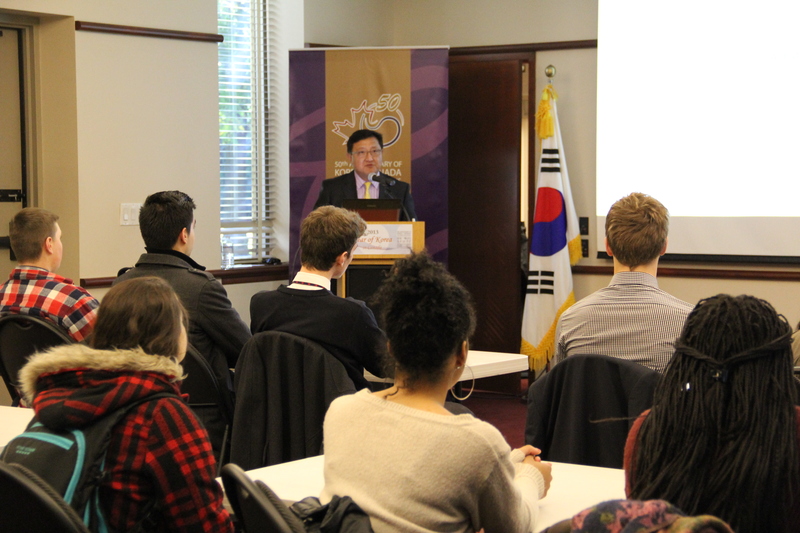 Counselor for Cultural and Public Affairs, Mr. Heon-jun Kim, explained the significance of the double milestones while emphasizing the close relationship between Korea and Canada from the 19th century to the present. 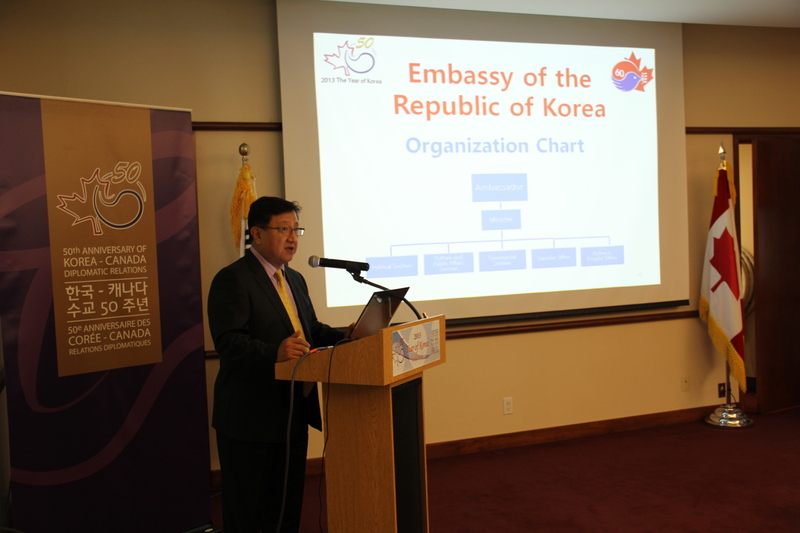 Counselor Kim also explained the various programs available for Canadians to take advantage of in further promoting the dynamic people-to-people exchanges between the two countries. 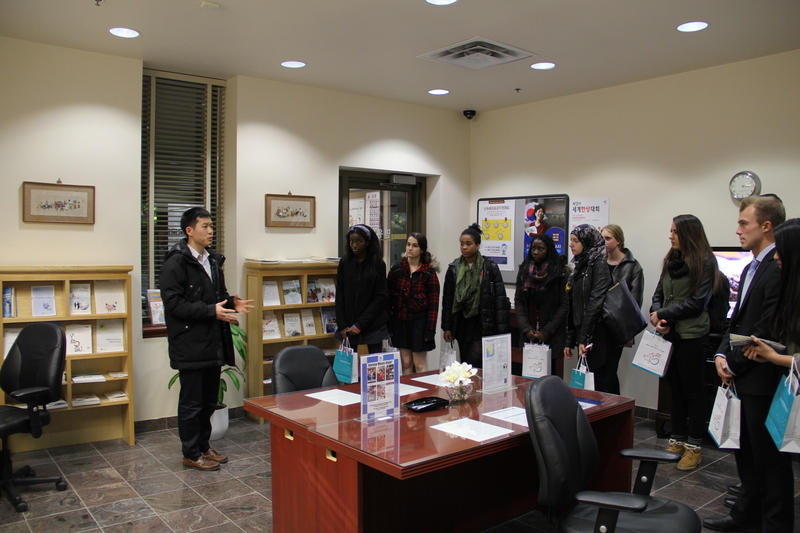 The students also participated in a short Korean lesson where they learned to write their names in Korean in less than 30 minutes.